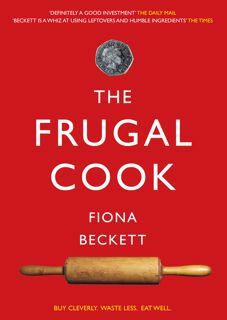 The Frugal Cook: In what way is a tub of cheese sauce 'essential'? Coming back on the ferry from France yesterday I spotted two full page ads promoting Waitrose's budget 'essential' range and how easily you could run up a ham and leek pasta bake with it. Most of the ingredients were fair enough. A pack of penne, a pack of sliced ham and a couple of leeks (though £2.70 a kilo isn't particularly cheap) but then I spied not one but two 350g tubs of ready-made cheese sauce at £1.59 each which would bring the cost of the dish to well over a fiver. OK, I get where Waitrose is coming from - we're all short of time these days but how long does it take to make a cheese sauce? Particularly if you use the Delia all-in-one method which couldn't be easier. And which instead of costing you £3.18 would probably work out just over £1, even allowing for the fact you'd have to buy a pack of cheddar. The fact that Waitrose is spending so much promoting this way of cooking also underlines how determined supermarkets are to wean us off low value basic ingredients and onto 'value added' ones. By implying we don't have the time or knowledge to make a cheese sauce they undermine less experienced cooks' confidence in their ability to make a meal from scratch and make them spend more than they need. I don't know about you but I think that's a shame. PS another thing that's odd. How come the recipe has a five star rating when no-one appears to have rated or commented on it? Just askin'. good questions Fiona! i'm with you on the comments too. I've noticed the 5-star rating thing on Waitrose recipes too - am giving them the benefit of the doubt that it's a bug for now. I wouldn't touch that stuff with a bargepole, but there are lots of people out there who are scared at the idea of making something from scratch, don't think of looking for a recipe online and are relieved that Nanny Waitrose offers an easy answer (at a price). If they were really ethical, they would advise people to make the sauce themselves (and say how) but suggest that if this is not an option, a tub or two of ready made sauce will suffice just about. It's essential in the same way most here in the US think a jar of pasta sauce is. I don't know if people are afraid to just invest the time in cooking from scratch or do not realize it is so much less expensive, tastes better and is so much healthier for you. Thanks for the white sauce link, I have always melted the butter, added the corn starch and than slowly added the milk. I will need to try this one! Let me know how it goes, Colleen. Delia's recipes are pretty reliable. Well done for pointing out that cheese sauce is not essential ingredient and yes, who is rating this recipe exactly? I am always astonished at how people just snap up these ideas without thinking. I am worried about just how little people cook and have just taken on a job as a part time tutor teaching adults how to cook because I do feel that coking is a dying skill. I've often been amused by various supermarkets definition of what is or isn't an "essential" or "basic" item. Worse than ready made cheese sauce though is ready made carbonara sauce, which is actually probably a very similar product. For years I assumed the recipe must be really difficult until I read this post from Eat Like a Girl. Egg yokes and pasta water, or even a whole egg if you don't think you'll find another use for the white I've since learned. People are being tricked by these ready made versions into thinking they couldn't whip it up just as quickly and cheaper themselves.